Two weeks ago Apple launched iOS 11 ahead of the iPhone 8 release. This is an exciting time for most iPhone and iPad owners because it is usually when we gets some new features and an updated look. Apple has been consistent with the design of iOS. They overhauled the look of iOS back with the release of iOS 7, and since then there have been incremental changes. This year is a little different. As a designer the first thing I usually look at is the way something looks. The change isn’t as drastic as the switch to iOS 7, but there are still a few noticeable differences. The first thing I noticed was the change in font. They have refined the San Francisco font that was developed for the Apple Watch and first implemented in iOS 10. It also seems as if they are playing with the weights of most of the headers within the apps. I think it’s a great look that creates a lot of visual impact. Speaking of Apps there were a few design changes there as well. 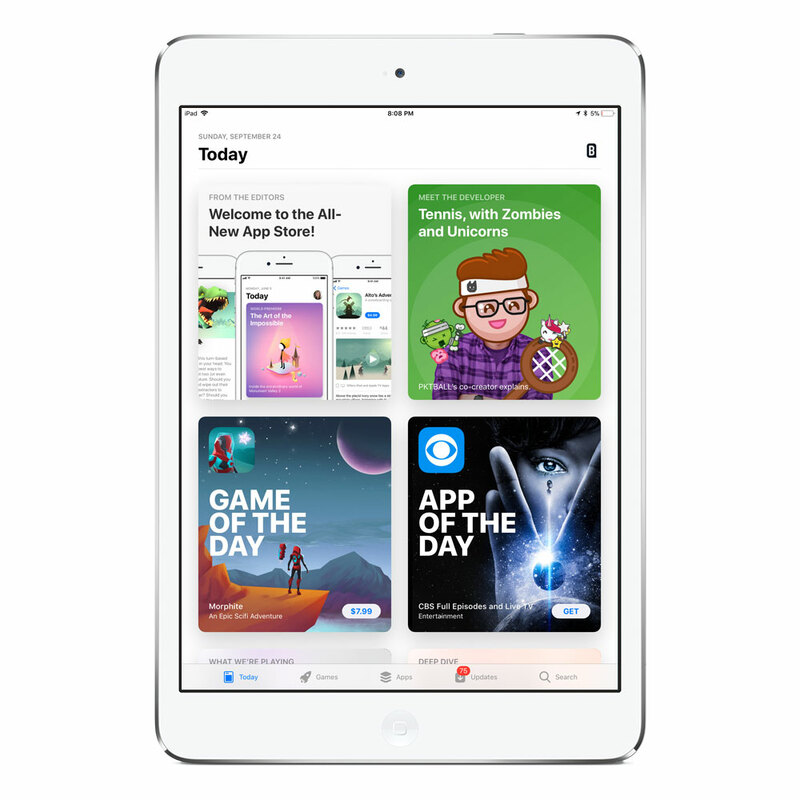 Some apps like the dated App Store received a complete facelift. From the screen the app icon has changed to a darker blue with three simple white lines creating an “A”. Open the app and you are met with a flow of cards containing stories about apps, listacles, and behind-the-scenes exclusives. It is very fluid and super mobile friendly. The look is visually interesting and the cards have an enticing design that has you wanting to discover more. That is great news for app developers. When it comes to smartphones it’s all about the apps, and iOS 11 is no exception. Apple redesigned one popular app, added features to a lot of apps, and even introduced a brand new app. There are tons of new app additions, and way more than I could cover in one post. I did want to spotlight a few apps that I found myself using the most. You may have noticed a new icon on your home screen, the Files app. 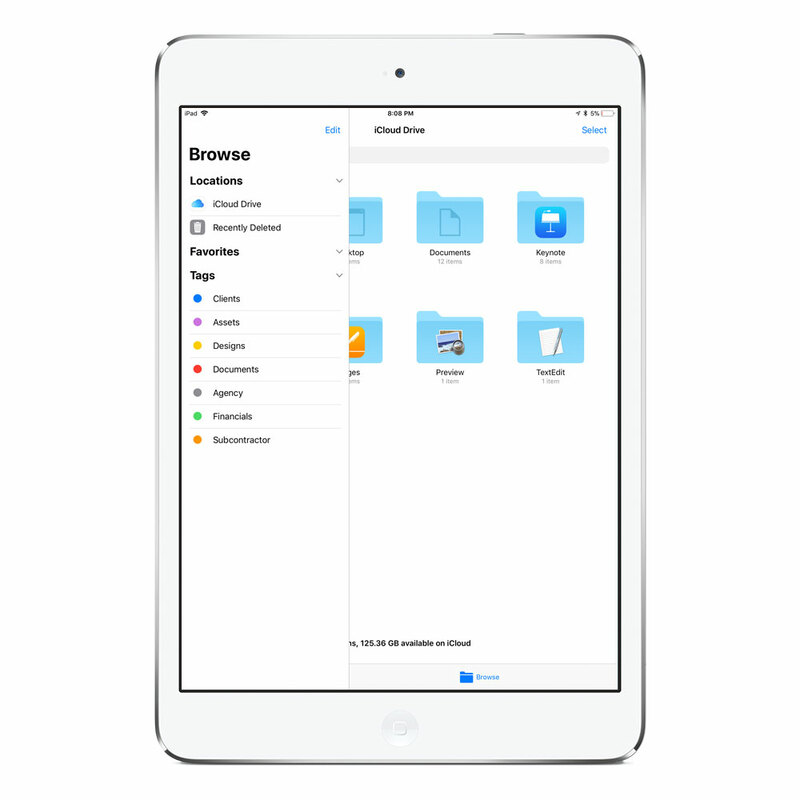 Files actually replaces the iCloud Drive app, but it’s not just another icon update. Files allows you to access everything on your iCloud Drive, including your documents and desktop files on your Mac. In order to use the feature you need to be using at least MacOS Sierra, then you will have access to files on the road. Files doesn’t just stop there though. It also integrates into all of your file management systems including: Dropbox, Google Drive, One Drive, Boxee, and even Creative Cloud for all my creatives out there. 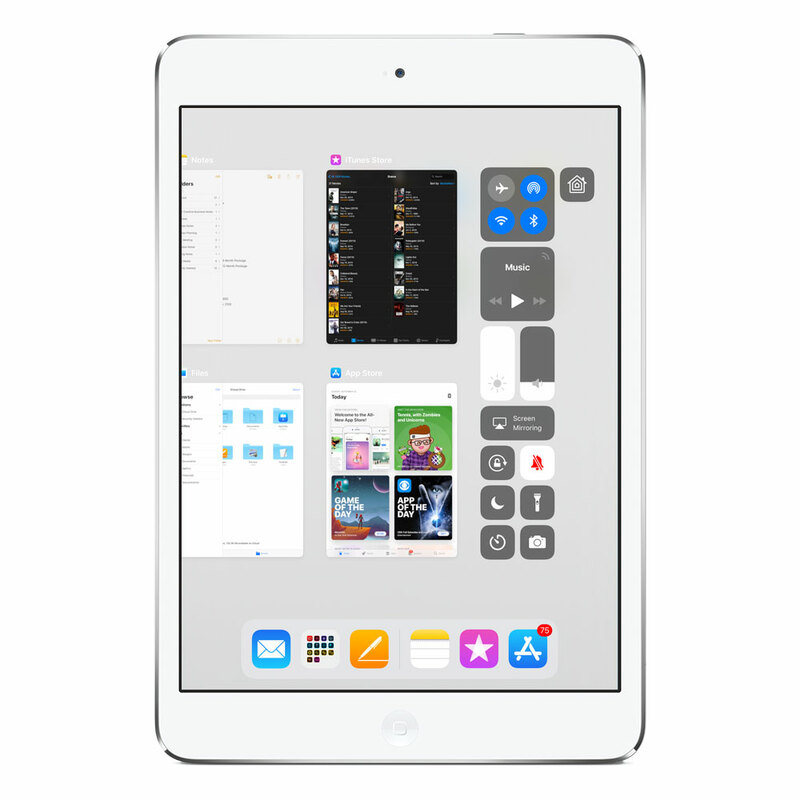 Set-up is a synch and once you open the app it recognizes the systems you have already from the apps on your iPad. It even recognizes my portable SanDisk jump drive. It works great and I still have yet to have any connection issues. This app may not turn your iPad into a desktop replacement, but it sure brings it the closest it has ever been. Notes hasn’t always been people’s favorite app. In the beginning the notes app was just that, someplace to jot down ideas. As more iOS devices came out Notes became a fragmented mess. Apple eventually added support to iCloud as well as a host of other features. Typically I use Notes for client meetings, but I love handwriting notes with my Apple Pencil. iOS 11 adds support for multiple paper styles, lined and grid paper fans rejoice. They also add the ability to wake up your iPad by touching your Apple Pencil to a locked screen. It is a feature you need to turn on from the settings menu, but when the Apple Pencil touches the screen it automatically opens to Notes. 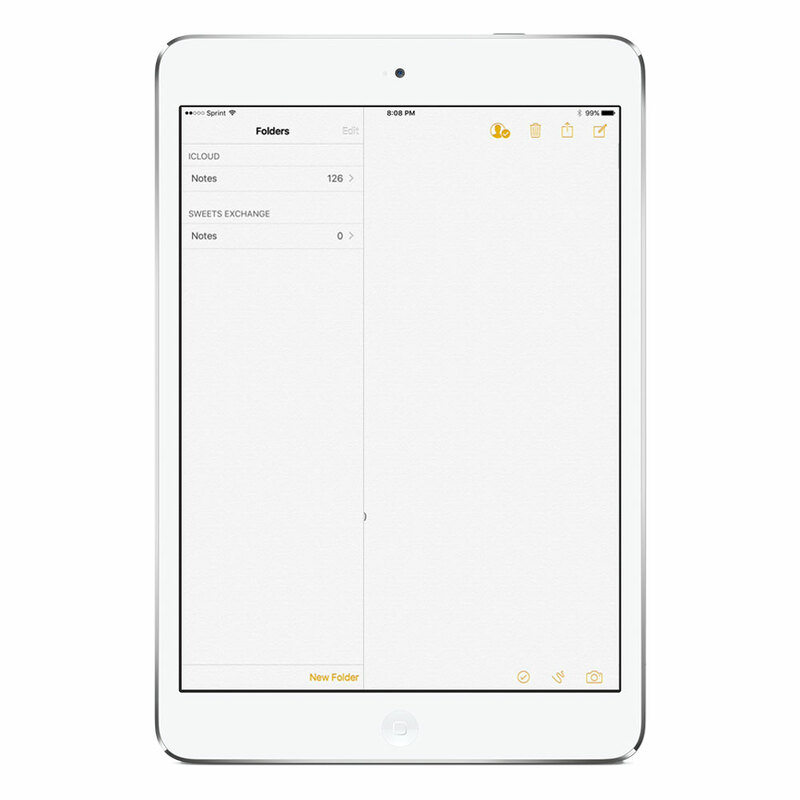 You can start typing a new note and add a handwritten entry, a table, and images now. Notes also implements mark-up mode for when you take a screen shot, a little window appears in the bottom left corner that by pressing it will allow you to highlight, mark and write on your image. Handwriting is now searchable text as well. I have found myself ditching my Bamboo Paper app in favor of the Notes App because everything is synced across all devices and the new functionality checks off all the boxes on my list. There are a litany of other improvements in iOS as well. Maps now has interior maps for malls and airports, which would help you get around a bit easier when traveling or holiday shopping. You can now add attachments to Apple’s Mail app. Photos now has the ability to choose the thumbnail photo for live images as well as new editing options for image and videos. A majority of the remaining changes were functionality upgrades. Design communicates the feeling and visual cues to interact with an app, and the new app features improve on previous ways to interact with some of your favorites. The most important factor in an upgrade is the functionality of the services and tools offered. All three harmonize to create an experience people enjoy. This section goes over some of the best aspects of the iPhone’s newest operating system. When firing up an iPhone or iPad after updating you will be met with a new dock. The dock now floats in a translucent white overlay. On the iPad you can now add multiple apps for quick access. There is even a recently used section that makes it easy to hop back into an app. You can also swipe up in any app to access your dock. To the left of the dock you can also access apps from other devices using continuity. Like everything else control center has evolved over the years. For the first time it feels like control center has matured. Now swiping up no longer presents a panel, but a full screen overlay. Before your options were limited to a few key functions, but Apple finally allows you to customize what you would like to add to the panel. In the settings you can now add an Alarm Clock, Stopwatch, Notes, and Screen Recording shortcut buttons. You can adjust the layout by choosing the order of the list. It is a nice little addition for power users. Included in the new control center screen are the apps currently open. Instead of overlaid cards the screen now shows a full shot of the app. Each displayed to show you your last screenshot. Swipe to throw away the pane and close the app. Split screen is a bit different as well. Instead of swiping to the right you now open the dock and drag the app to either the left or right. What is especially nice is you can now create multiplesplit screen panels and switch between them in multitasking mode. One of the most exciting features added to iOS might be the inclusion of AR Kit. While other companies are designing VR headsets Apple decided to invest in AR. When it comes to the future of tech I think AR (augmented reality) is the true bet. Too many times people complain about devices and how it alienates you socially, well VR alienates you from the world. AR kit is already implemented in a slew of apps from Ikea Place, Sky Guide AR, Swift Playgrounds, and a ton of games. This is exciting because it is a new market for 3D artists. 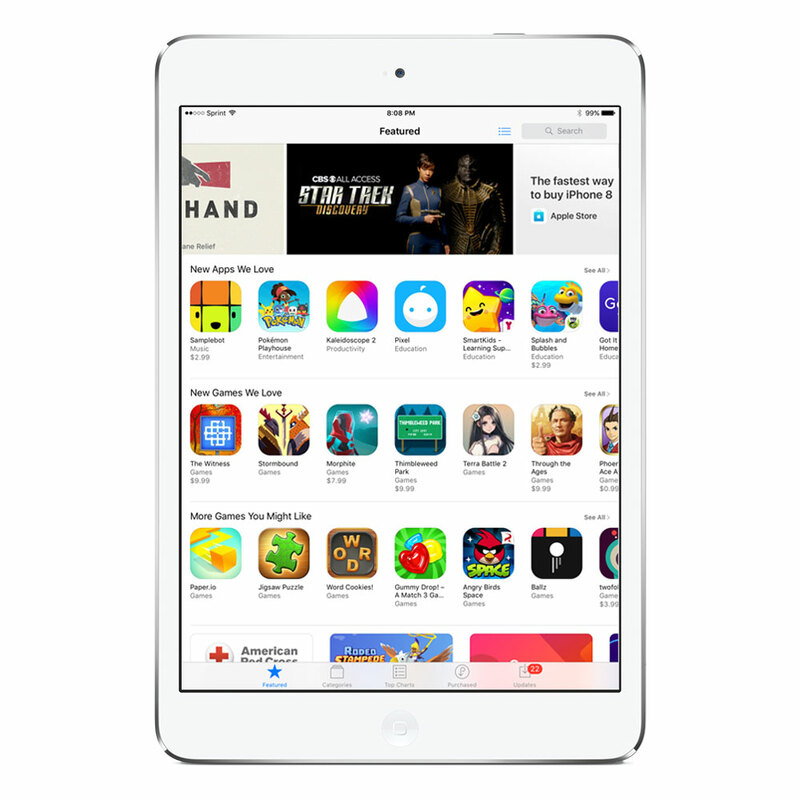 Apple helped developers by creating the App Store and they have done it again with another creative industry. 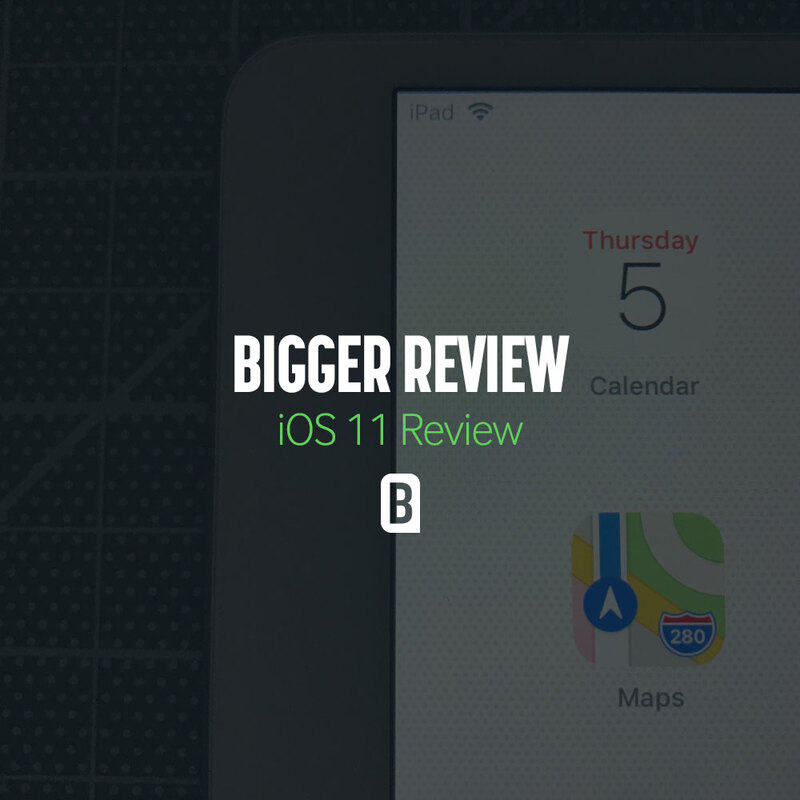 The release of iOS 11 is what inspired the Mobile Invasion Week and I just spoke of a few features that I was using most often while being remote. I believe this iOS update has been one of the most exciting because its the first time Apple actually added iPad only features. What are your favorite features in iOS 11? 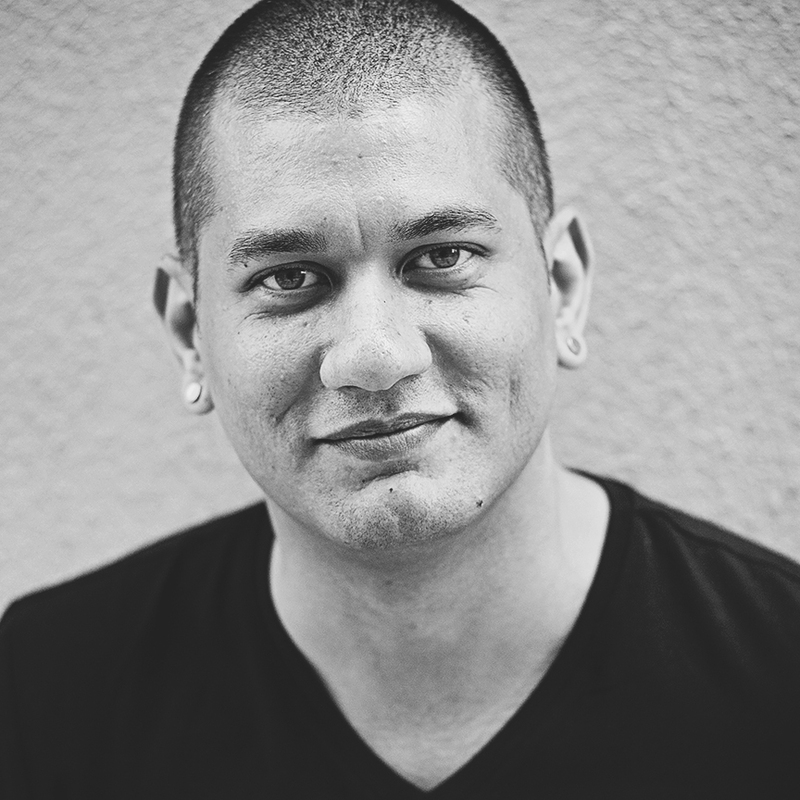 Brian Anthony is the Creative Designer at Bigger Creative Agency. A comic book nerd who loves everything about design and technology. Born and raised in Brooklyn, like most New Yorkers, he isn't afraid to speak his mind. Brian is an outgoing designer who has had his work featured in USA Today, New York Fashion Week, and CES. He finds inspiration in everything and loves to throw on any tune and get to work.